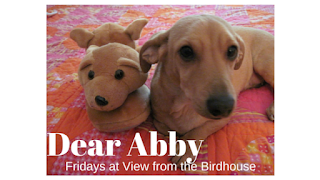 I have a fun cartoon dog to introduce you to today. 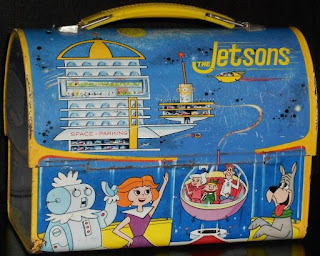 The Jetsons was an animated TV show that ran from 1962 - 1963. It was produced by Hanna-Barbera. 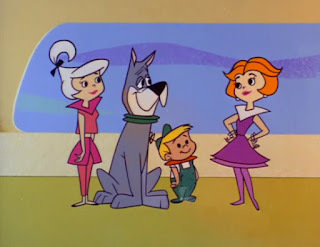 Astro was a Great Dane who lived with The Jetsons family. The Jetson family consisted of parents George and Jane Jetson, their children Judy and Elroy, and their dog Astro. In the show, Astro was originally owned by a wealthy man named Mr. J.P. Gottrockets. At the end of each episode, George is shown walking Astro on an automatic dog walker (treadmill) outside their apartment. The dog walker goes too fast and George always says, "Jane, stop this crazy thing!" The character of Astro was voiced by actor Don Messick. Astro actually talked, and inserted many extra "R's" in his sentences. For instance, when he wanted to tell George Jetson that he loved him, he would say "I ruv roo, Reorge." (Later, Scooby Doo, another famous Hanna-Barbera dog, would have a similar style of speech.) Astro's famous phrase was "Ruh-roh!" Here is a clip of The Jetsons. George Jetson dresses up as a burglar to see if Astro is a good watch dog. And, of course, he is! Do you remember Astro from The Jetsons? This was one of my Momma's favorite cartoon shows when she was a little girl. (She saw it in later reruns.) I would love to hear from you in the comments, below. I love vintage books, and the Jetsons were one of my favorite! I remember watching Jetsons when I was younger! I need to show the show to my kids I think they will love it. Seriously one of my fav cartoons as a kid. We watched it recently and it totally holds up. Loved Astro! I haven't seen the Jetsons in such a long time! I think I need to show this program to my kids LOL! Love the lunchbox. I have not seen an episode of the Jetsons for years. I sure do know who Astro is though! So fun! Now, Astro was one of my favorite cartoon dogs. I totally forgot about this cartoon. What fun. I have not heard of the Jetsons in ages, but my ring tone sounds their their theme song. I love them and Astro was an amazing doggy! I loved watching the Jetsons when I was younger!! 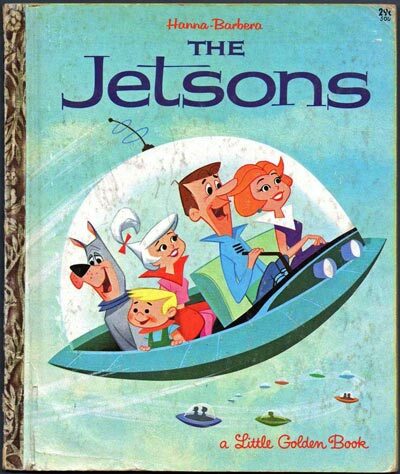 I use to love watching the Jetsons! It was a great TV show! I wish that TV shows were closer to what we watched then what our kids currently watch. 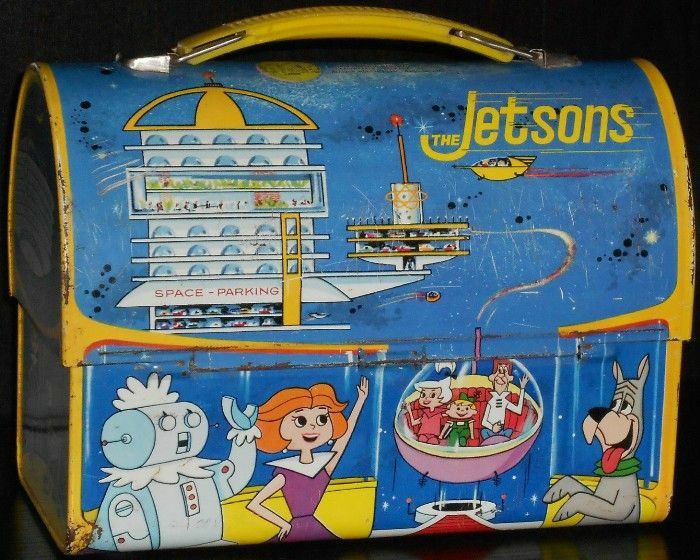 Omg the Jetsons were my favorite when I was a kid! I watched them 24/7!!!! I always wanted a real Astro! He's so sweet and he and Elroy are truly a boy and his dog. He is hysterical when he cries and I used to always feel sorry for him. He was a great dog! Thank you for visiting! I loved reading your comments about Astro and The Jetsons!